Top Gear The BBC’s Top Gear presenters Jeremy Clarkson and James May had possibly their luckiest day in history when they had the good fortune to Live the DeLorean Dream when the Top Gear team had a DeLorean in the studio. Pictured are Dean Mitchell’s and Colm Nugent’s cars. With all the attention the DeLorean receives, it was the only choice of car for Simpsons Actor Troy McClure! A Film some of you might have seen. Featuring an unpainted, stainless steel car with unusual doors called a DeLorean. 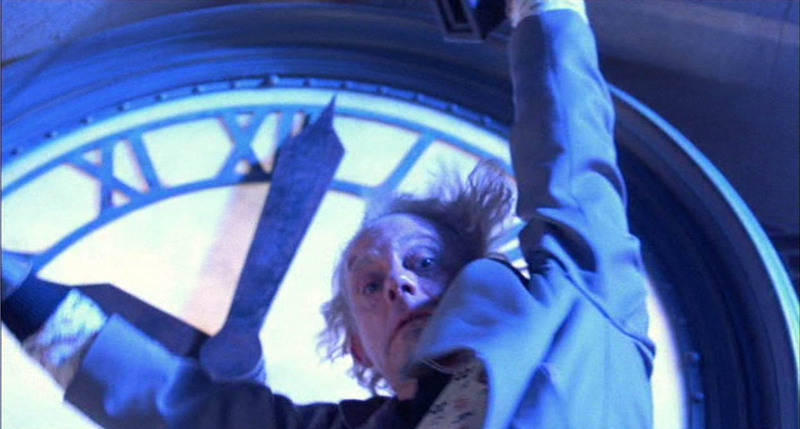 Originally they were going to travel through time in a fridge! - A chilling thought, but could have been good for Zanussi! 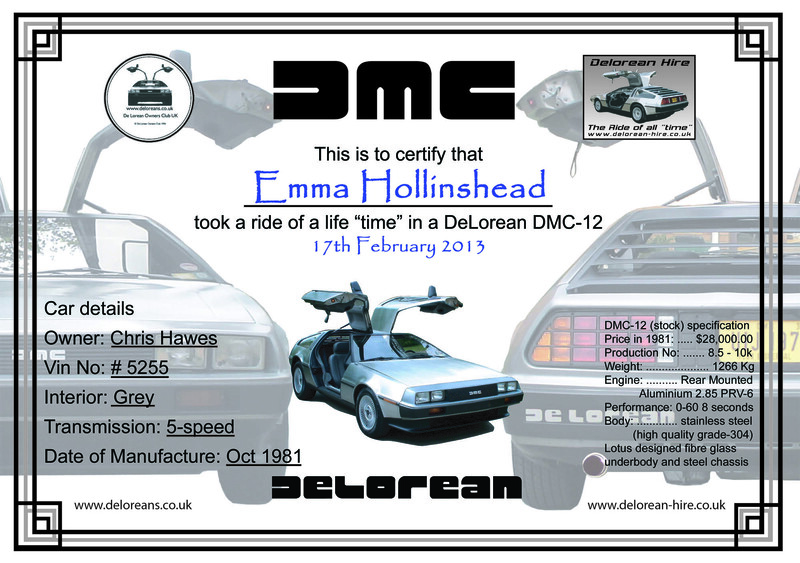 Fans - Why not hire a DeLorean DMC-12?